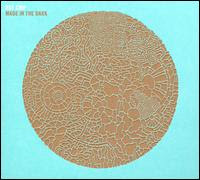 The British quintet flouts nearly every convention in the book on their third record, Made in the Dark. They add ‘70s metal, dancehall, dubstep, and Hot 97-style R&B to their arsenal of sounds and beats. “One Pure Thought” opens the disc with a guitar-god solo before transitioning seamlessly into a dreamy space-disco ruckus. “Hold On” evokes a disco-fied LCD Soundsystem. “Don’t Dance,” with its beats that maniacally transition into trance and dancehall, renders its title impossible to ignore. The ballads on the album don’t disappoint either, including the song “We’re Looking for a Lot of Love,” an organ driven hold up your lighters anthem punctuated with Caribbean drums. Bizarre as the songs sound in Hot Chip’s hands, the music just clicks, much like the five musicians and DJs that make up the oddly formed quintet. Get the album, you won’t be disappointed. 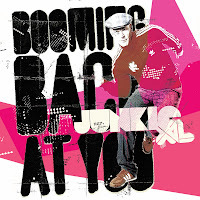 Booming Back At You, the 2008 release by Junkie XL does not false advertise: it booms, breaks, and jumps into your consciousness like a groove-bomb. His fans have come to expect quality work like this from the Dutch beatmaker. Booming Back At You is his fifth studio album.